Rolling bottles. Spilled coffee. Sticky floors. The open remnants of someone's dinner. Welcome to subway world -- where the barely bearable has become the norm. The Straphangers Campaign in a recent report found that only 42 percent of city subway cars can be classified as "clean" these days -- meaning they show only light grunge or none at all. The watchdog group scrupulously does not count ordinary trash -- like candy wrappers or the bagged remnants of someone's dinner -- as shmutz. The city's overall train cleanliness rating has fallen 10 percentage points since 2011, when the last study was done. Back then the Straphangers found that 52 percent of the subway cars they inspected were clean. The evidence this time around strongly suggests that quality of life on our subways is rolling backward. Fares have jumped four times in the last six years. Two more hikes are scheduled -- in 2015 and 2017. And all the while riders are springing for 70 percent of the system's operating costs straight from the fare box -- the highest rate in the nation. 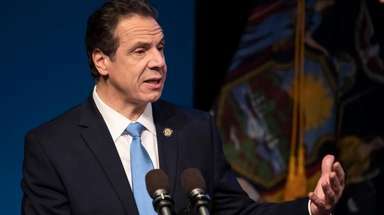 Albany approved a budget last week that siphons off $30 million from a pot that's supposed to help pay MTA operating expenses. Some of that money could have been used for cleaning. While ridership is growing, the Straphangers say that the number of car cleaners in the system has remained roughly the same from 2011 to 2013.
Who's got the worst deal? Riders on the D train win that distinction. Running from Norwood in the Bronx to Coney Island in Brooklyn, the D had a clean-car rating of just 17 percent. Riders on the L train have the best score at 63 percent. The MTA regularly disputes the Straphanger shmutz studies -- alleging unfair methodology. The advocates just as ardently defend their numbers. We'll go with the Straphangers for one big reason: Year after year, their numbers confirm what our eyes tell us every single day.